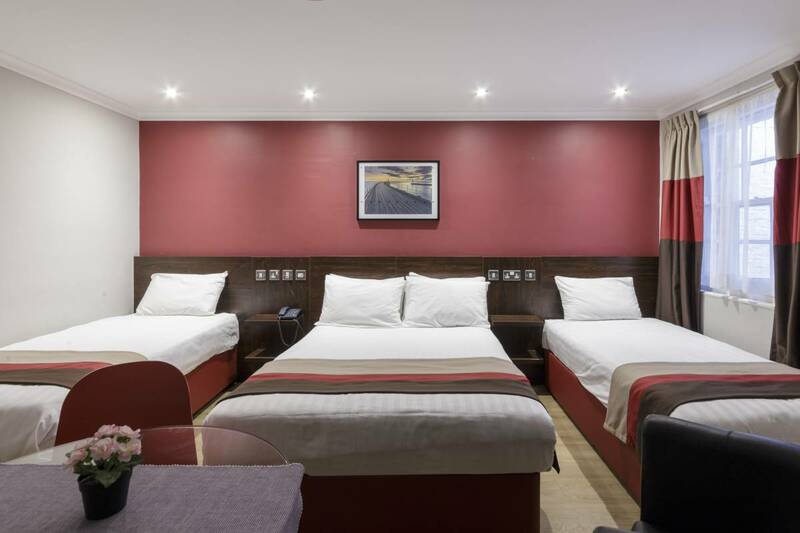 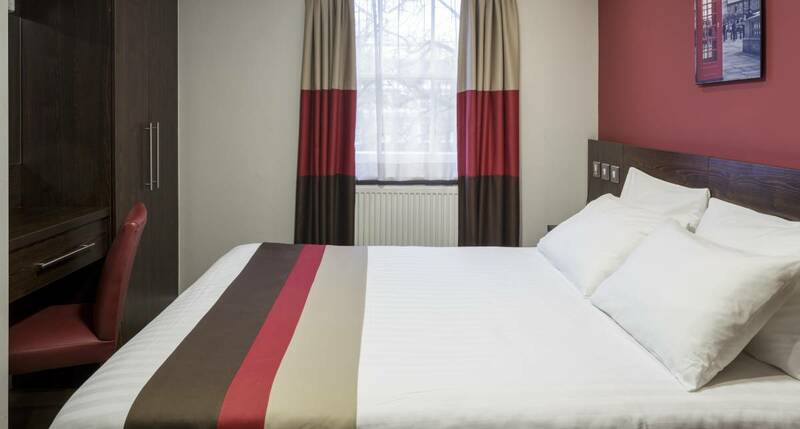 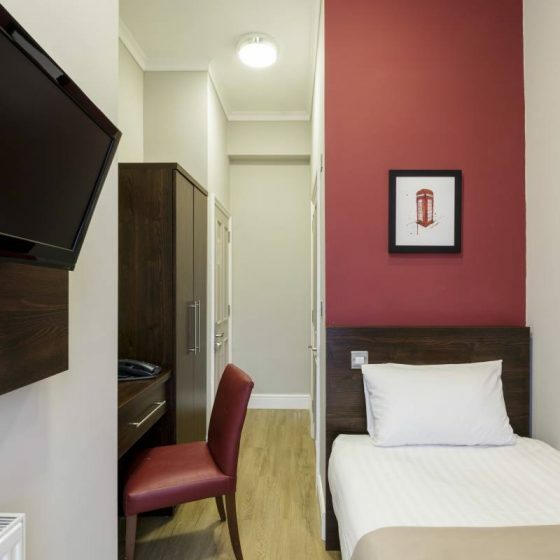 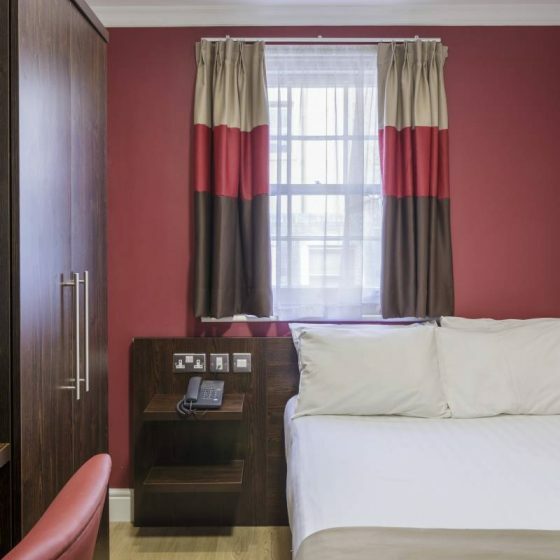 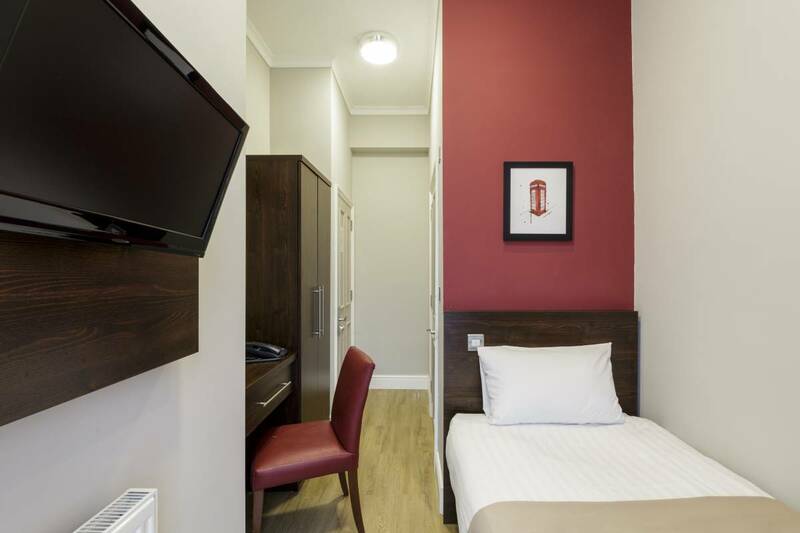 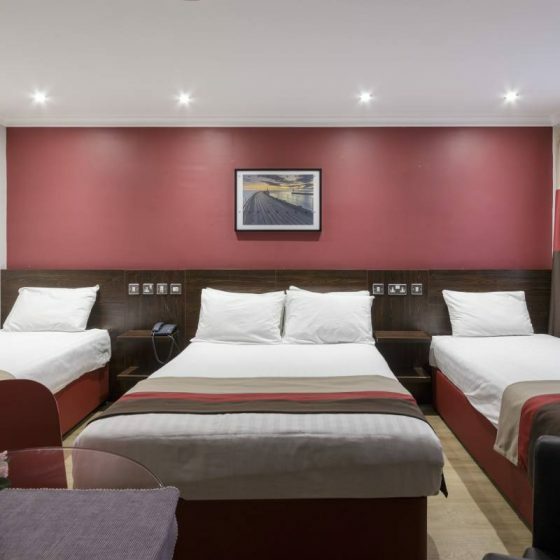 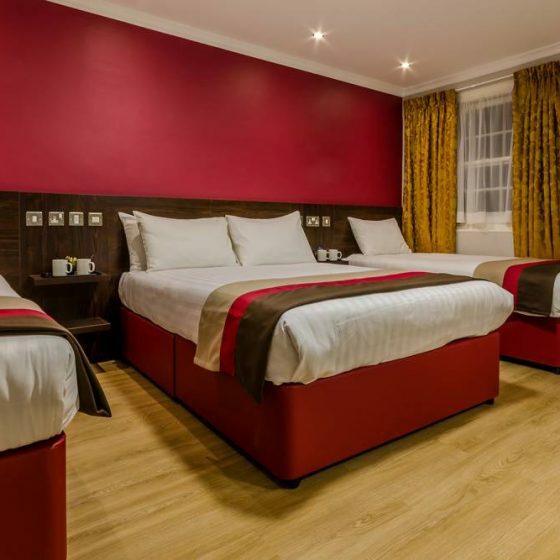 The Royal Cambridge Hotel, London guest rooms are inspired by the architecturally Victorian grandeur, given the modern and vibrant touch, to echo the ever-changing and colourful characteristics of London. 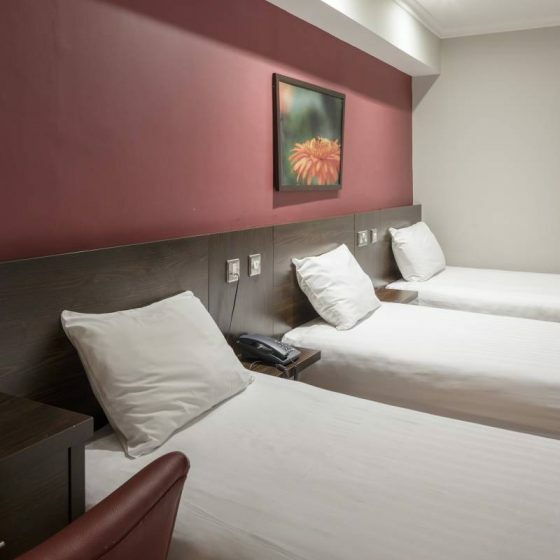 Each room gives you that fresh contemporary feels with a hint of red, brown and beige with an array of amenities to give all guests the much needed comfort. 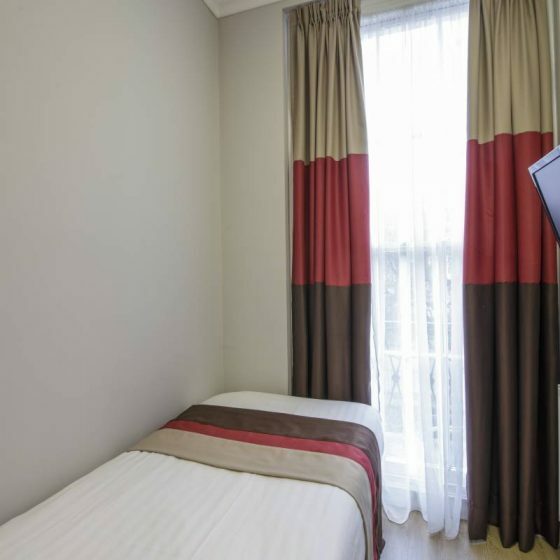 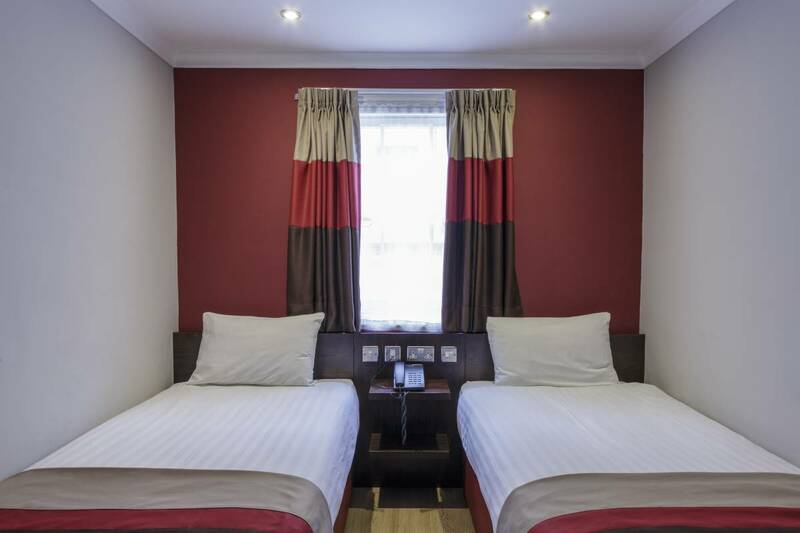 The Single rooms feature a single bed, suitable for a solo traveler or those on business trips. 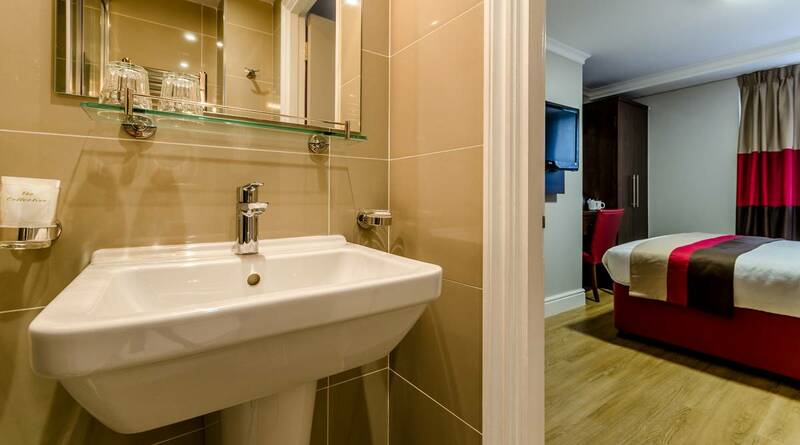 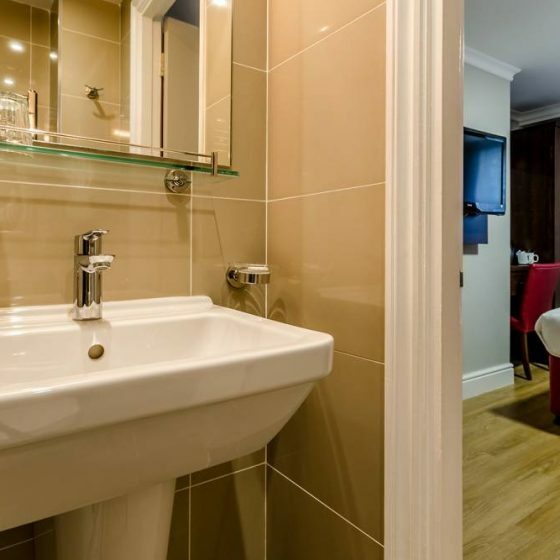 Each room measures 8.5 square metre and comes with a private bathroom – a great choice for a quick stay. 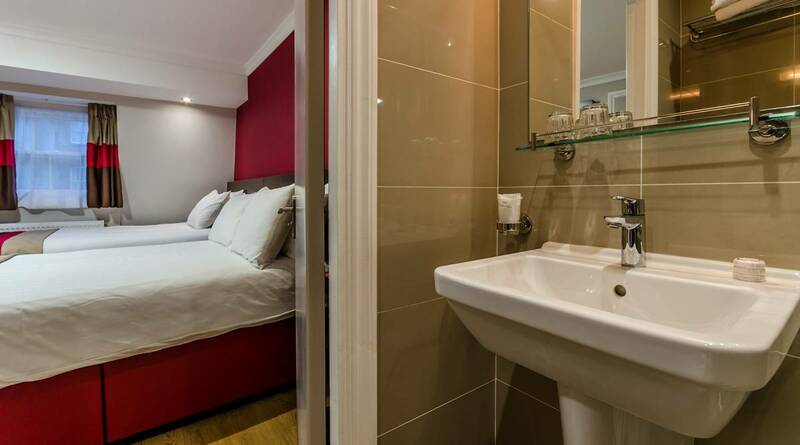 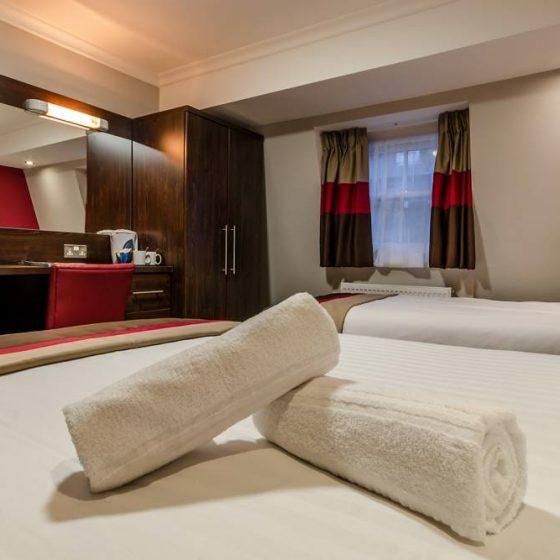 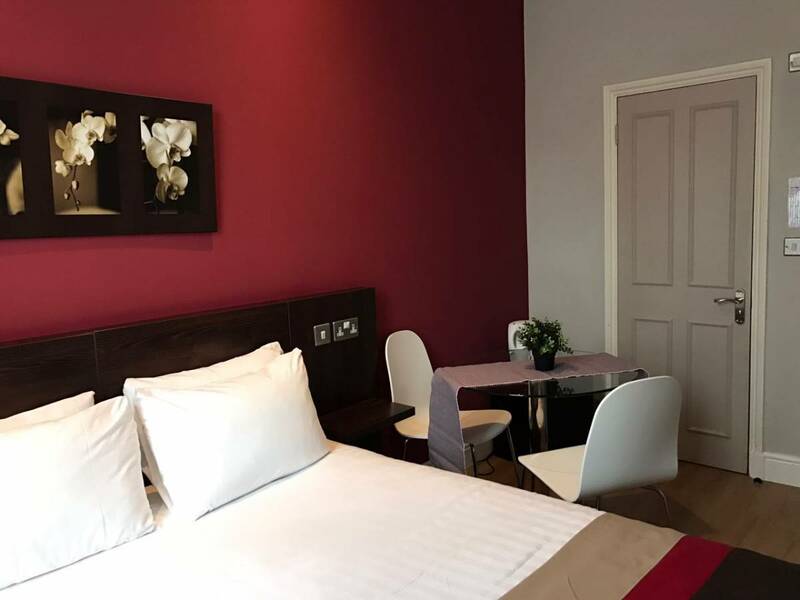 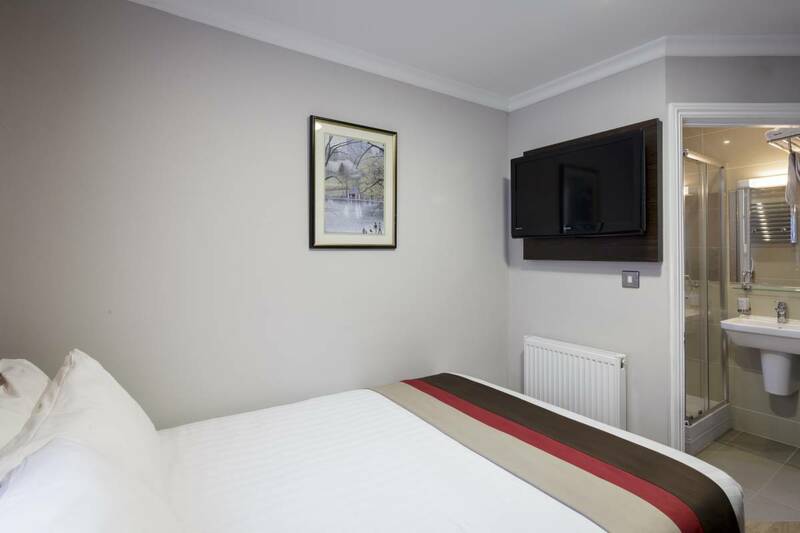 The cosy Double rooms accommodate guests with a choice of a double bed or two single beds and come with a private bathroom. 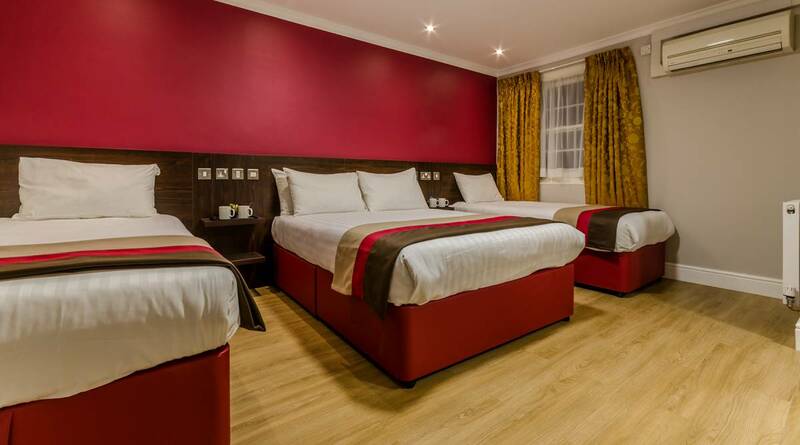 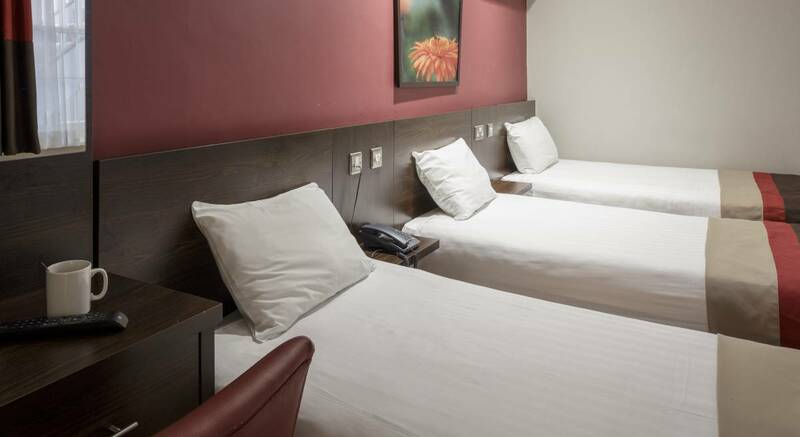 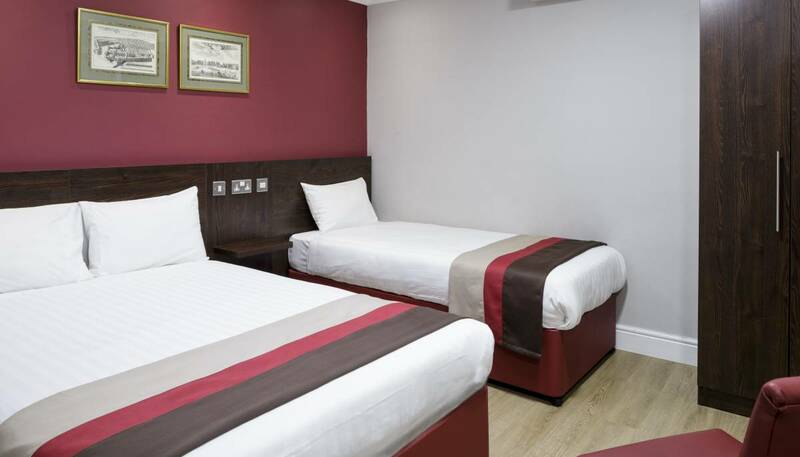 The Deluxe Double rooms welcome you with a comfy double bed with a private bathroom – an excellent room for a couple. 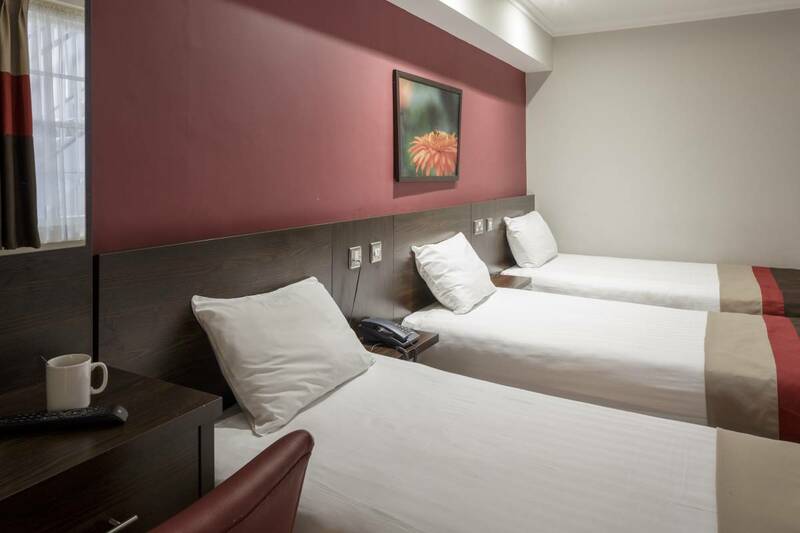 Measuring at 14 square meter, the rooms will certainly make your stay a calm and memorable one. 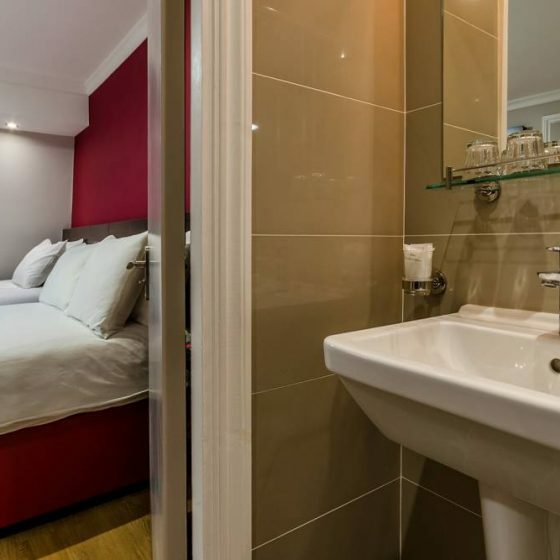 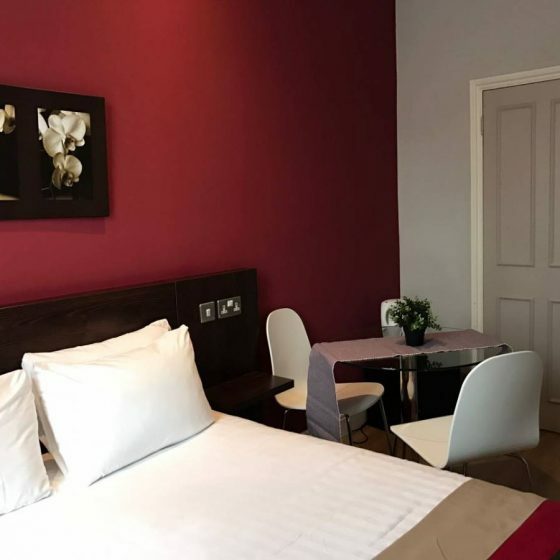 The quaint Triple rooms comprise of either three single beds or one double bed and two single beds that are fitted to a high standard with a private bathroom. 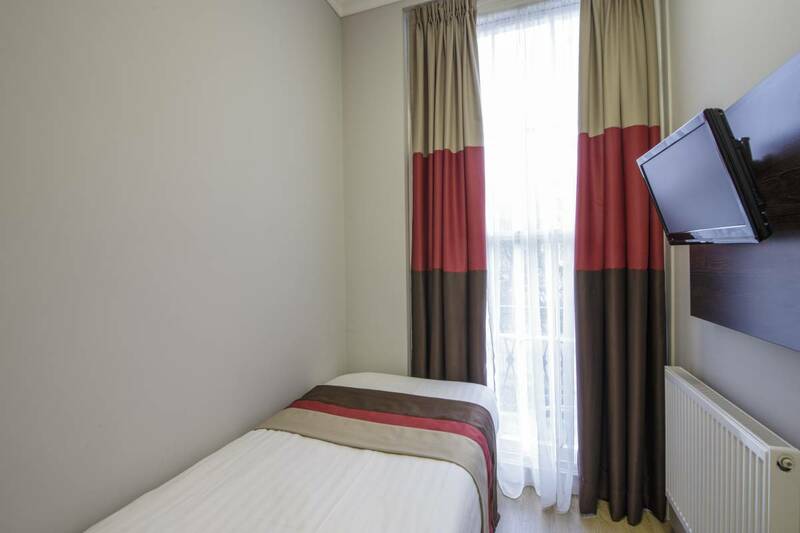 Each room measuring at 12 square meter, is able to accommodate up to 3 adults. 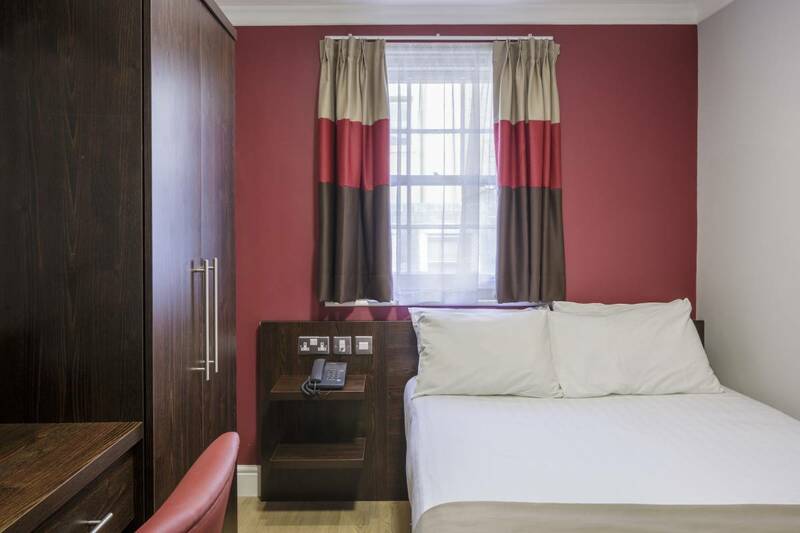 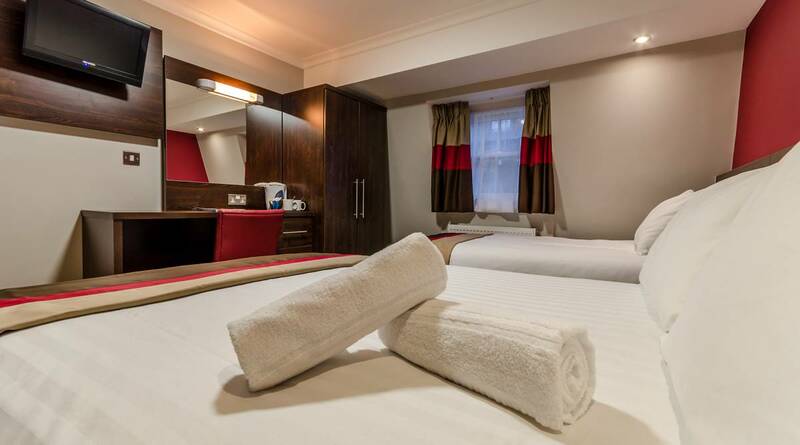 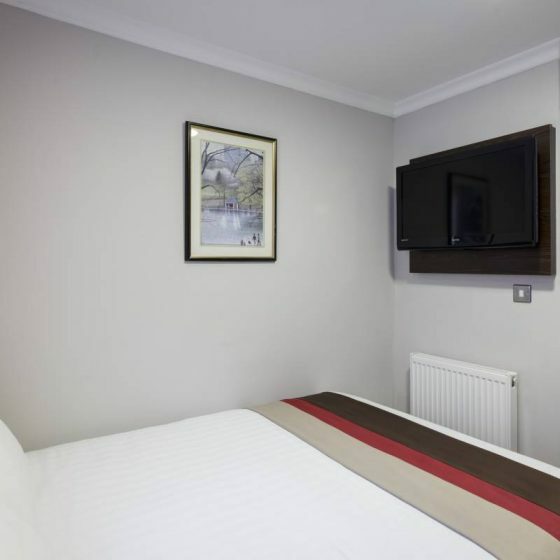 Quadruple rooms offer one double bed, two single beds and a private bathroom. 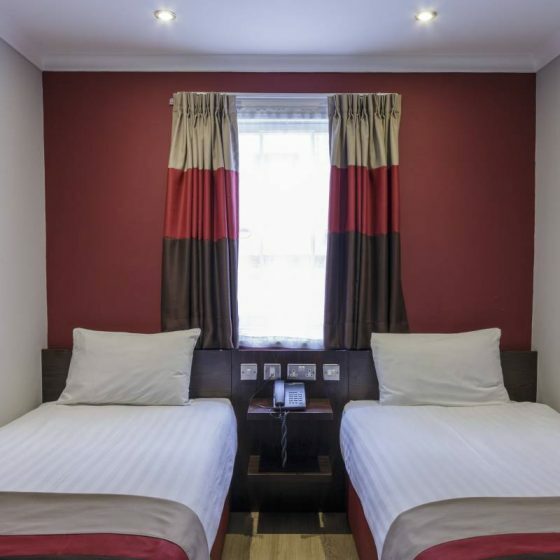 The rooms, spacious at 21 square metre, are able to accommodate up to 4 adults comfortably and ideal for a larger group.